Dolphin® instruments is one of the leading manufacturer and exporters. We are ISO 9001 certified. In line with patrons' varied requirements, we bring forth a distinguished collection of the Medical College Instruments and Equipments. 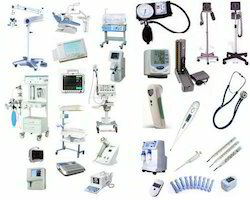 The provided instruments and equipments are widely used in medical colleges. These instruments and equipments are manufactured at our modern production unit making use of superior grade components and innovative technology in tandem with predefined industry standards. Our renowned clients can buy these instruments and equipments in various specifications as per their needs. Looking for Medical College Instruments and Equipments ?